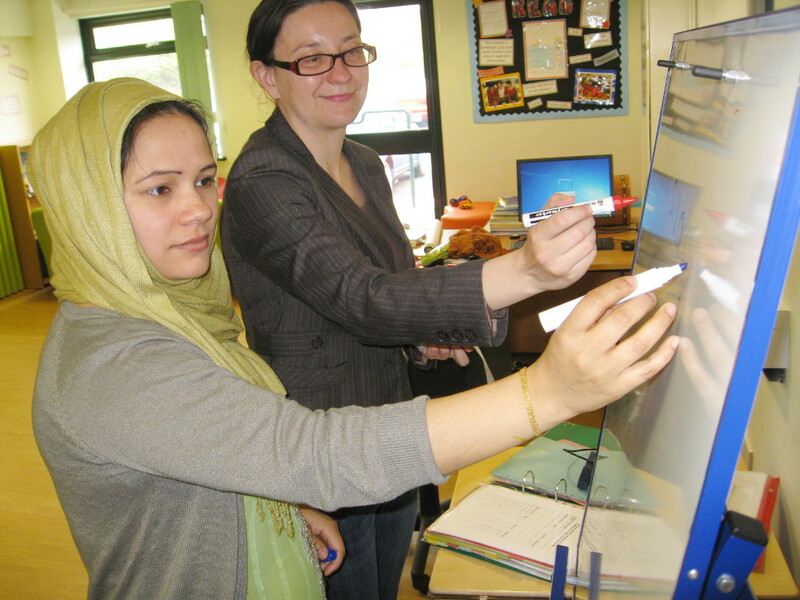 An ESOL class taking place in the Community Learning Centre. Within the Community Learning Centre we offer a range of classes for parents and families . We aim to offer both educational and creative classes to meet as many needs and requests as possible from our parents. Classes run everyday within the Community Learning Centre and we welcome any suggestions you may have for future classes you may like to see run within our facility. Letters and booking forms are sent out on a regular basis to inform you of any classes we are running. Simply complete the booking form or contact Miss Ellis for further information. Leaflets regarding all of our classes and sessions are also available in the main entrance to school and in the Community Learning Centre. Not only do we run classes for parents and children who attend our school, we also currently run a Stay and Play toddler group on a Monday afternoon for children under school age, which is funded and free to attend. We also have a baby clinic which runs on a Thursday afternoon.